Main purpose of this report is to analysis General Banking and Performance Analysis of Jamuna Bank Limited. Other objectives to evaluate the credit approval and monitoring process. Report also focus on to identify their pricing mechanism based on share market. Finally find out the SWOT analysis of Jamuna Bank based on General Banking and overall Performance. Report also suggest recommendation to overcome various aspects on General Banking problems. General Objective: To figure out major functions and to do performance analysis of Jamuna bank limited. To make the readers familiar with the operation in the banking arena. To evaluate the credit approval and monitoring process. To identify their pricing mechanism based on share market. To find out the SWOT analysis of JBL. As the report is information basis the secondary data sources are emphasized. Moreover I am also reliable on some primary sources as well. So Data regarding the completion of this report are collected from both primary and secondary sources. Face to face conversation with employees. Face to face conversation executives. The Bank undertakes all types of banking transactions to support the development of trade and commerce of the country. JBL’s services are also available for the entrepreneurs to set up new ventures and BMRE of industrial units. Jamuna Bank Ltd., the only Bengali named new generation private commercial bank was established by a group of winning local entrepreneurs conceiving an idea of creating a model banking institution with different outlook to offer the valued customers, a comprehensive range of financial services and innovative products for sustainable mutual growth and prosperity. The sponsors are reputed personalities in the field of trade, commerce and industries. The Bank is being managed and operated by a group of highly educated and professional team with diversified experience in finance and banking. The Management of the bank constantly focuses on understanding and anticipating customers’ needs. The scenario of banking business is changing day by day, so the bank’s responsibility is to device strategy and new products to cope with the changing environment. Jamuna Bank Ltd. has already achieved tremendous progress within only eight years. The bank has already ranked as one of top quality service providers & is known for its reputation. At present the Bank has real-time centralized Online banking branches (Urban & Rural) throughout the Country having smart IT-Backbone. Besides this traditional delivery point, the bank has ATM of its own, sharing with other partner banks & Consortium throughout the Country. The operation hour of the Bank is 9:00 A.M. To 5:00 P.M. from Sunday to Thursday with transaction hour from 10:00 A.M. to 4:00 P.M. The Bank remains closed on Friday including government holidays. 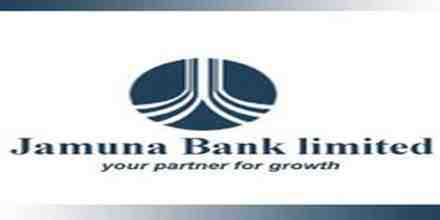 Jamuna Bank Limited has introduced real-time any branch banking on April 05, 2005. Now, customers can withdraw and deposit money from all branches located throughout the Country. Our valued customers can also enjoy 24 hours banking service through ATM card from any of Q-cash ATMs located at different location throughout the Country. All the existing customers of Jamuna Bank Limited will enjoy this service by default. The motto of JBL’s Corporate Banking services is to provide personalized solutions to our customers. The Bank distinguishes and identifies corporate customers’ need and designs tailored solutions accordingly. Jamuna Bank Ltd. offers a complete range of advisory, financing and operational services to its corporate client groups combining trade, treasury, investment and transactional banking activities in one package. Whether it is project finance, term loan, import or export deal, a working capital requirement or a forward cover for a foreign currency transaction, our Corporate Banking Managers will offer you the accurate solution. Our corporate Banking specialists will render high class service for speedy approvals and efficient processing to satisfy customer needs. Personal Banking Division (PBD) introduces to the customers with a variety of products. Our PBD continuously meets the challenges of developing new products and services to match the specific requirements of customers. VISA Debit Cards – You can now avail the convenience of VISA Debit Card. It is the easiest and the most secured way of utilizing your money for 24/7 retail purchases as well as cash withdrawal. VISA Credit Cards – The JBL Credit Card gives you a fast, convenient and reliable way to pay, 24 hours a day, wherever you are in the world. International Credit Cards – JBL International Credit Cards (VISA) allows you flexibility and convenience when you travel internationally. The VISA International card entitles you to exclusive discounts worldwide. JBL Remittance Cell – “Remit Fast” is the motto of JBL Remittance Cell. It provides the best & faster services to its customers and connects the world through the renowned money exchange agencies. Such as Placid Nk Corporation, Money -gram Payment System Inc., Raffles Exchange Ltd.UK, Euro Bangla Money Transfer (UK) Ltd., Money-link, UK, Home-link Remit (UK) Ltd., Rumana Money Services. Customers can avail improved pricing on remittance. With our large ATM network including non-branch ATM across the country you have the privilege of round the clock withdrawal and other account services at your convenience. · Customer can enjoy higher ATM withdrawal limit each day. No fees on retail purchase and can use our Credit Cards at thousands of retail outlets around the world. · There will be no commission charge on the endorsement of foreign currency for self and spouse. Our customer service agents are available on 365 days to offer assistance for you. Just connects to our agents and satisfy your banking needs anytime of a day or any query that you might have. Jamuna Bank Ltd. has a network of 19 branches in Bangladesh and 4 more branches are going to be added to network soon. Remittance services are available at all branches and foreign remittances may be sent to any branch by the remitters favoring their beneficiaries. Jamuna Bank Ltd. has correspondent banking relationship with all major banks located in almost all the countries/cities. Expatriate Bangladeshis may send their hard earned foreign currencies through those banks or may contact any renowned banks nearby ( where they reside/work) to send their money to their dear ones in Bangladesh. Financial institution/ intermediary that mediates or stands between ultimate borrowers and ultimate lenders is knows as banking financial institution. Banks perform this function in two ways- taking deposits from various areas in different forms and lending that accumulated amount of money to the potential investors in the other different forms. General Banking is the starting point of all the banking operating. General Banking department aids in taking deposits and simultaneously provides some ancillaries services. It provides those customers who come frequently and those customers who come one time in banking for enjoying ancillary services. In some general banking activities, there is no relation between banker and customers who will take only one service from bank. On the other hand, there are some customers with who bank are doing its business frequently. It is the department, which provides day-to-day services to the customers. Everyday it receives deposits from the customers and meets their demand for cash by honouring cheques. It opens new accounts, issue bank drafts and pay orders etc. since bank in confined to provide the service everyday general banking is also known as retail banking. Professional merit and Competency, Flexibility, Determination and Dedication are the core resources that JBL consider to be of paramount importance for building a client oriented modern banking. Customer satisfaction is JBL foremost professional undertaking. Therefore, a satisfied client is JBL precious product and they consider them JBL ambassador in the market. Fixed Deposits: Fixed deposit is one, which is repayable after the expiry of a predetermined period fixed by him. The period varies from 1 month to 12 months. These deposits are not repayable on demand but they are withdrawal subject to a period of notice. Hence, it is a popularly known as ‘Time Deposit’ or ‘Time Liabilities”. Normally the money on a fixed deposit is not repayable before the expiry of a fixed period. Monthly Saving Scheme: Deposit Amount Maturity Value after 3 years, 5 years & 10 Years. The maturity value is an indicative figure. Tax/Excise Duty will be deducted as per govt. rules. 70% Loan Advantage on deposited amount. Lakhpoti Deposit Scheme: Deposit Amount Maturity Value after 3 years, 4 years & 5 Years. The maturity value is an indicative figure. Tax/Excise Duty will be deducted as per govt. rules. 70% Loan Advantage on deposited amount. Millionaire Deposit Scheme: Deposit Amount Maturity Value after 3, 4, 5,6,7,10,12 & 15 Years. The maturity value is an indicative figure. Tax/Excise Duty will be deducted as per govt. rules. 70% Loan Advantage on deposited amount. Double Growth Deposit Scheme: It will take 7 years 4 months to double a certain amount. Triple Growth Deposit Scheme: It will take 11 years 8 months to triple a certain amount. Fixed Deposit Chamak: Rate of interest 8.25%. Student Saving Account:50% higher rate than existing saving account rate. Marriage Deposit Scheme: Deposit Amount Maturity Value after 3.5 years, 5.5 years, 10.5 Years, 12 year, 15 year & 18 year. The maturity value is an indicative figure. Tax/Excise Duty will be deducted as per govt. rules. 90% Loan Advantage on deposited amount. Daily Profit Saving Account: Interest will be calculated on daily closing balanceat normal saving account rate. JBL Unique Saving plan: Unique Savings Plan is an any day, any amount savings plan. The beauty of this plan is that a customer can deposit any day, any time and any amount. Unique Savings Plan offers you to deposit any amount of your choice but not less than Tk. 500/- for 3/4/5 This is a high income plan with withdrawal facilities. The withdrawal facility will help you at the time of any emergency. You can withdraw 50% of the deposited balance for once a month. At maturity you will get a handsome amount. Nominee’s Photograph attested by A/c holder. 18-permission from Bangladesh Bank (for GSA & Agents only). Personal information of all directors in company letter pad. Collect an Account opening form from the Bank. Fill all the requirements of the form. Nominee is must be specified. Photograph is most important for any account. The account holder sign of his/her own self in front or the specific bank principle Officer in the account opening form. To open this account the most important things is that Passport Photocopy or the Word Commissioner Certificate must have to add with the account opening form. Commissioner Certificate must have to add with the account opening form and also enclose the form 12 with the account opening form. A cover file containing the requisition slip is effectively preserved as vouchers. If any defect is noticed by the ledger keeper, he makes a remark to that effect on the requisition slip and forward it to the cancellation officer to decide whether a new check book to be issued to the customer or not. Fixed deposit A/C is closed after the termination of the period. Brick by Brick A/C is very easily closing if one of the clients didn’t pay his/her monthly instalment at the bank three months one after one, in this way three months. Another account’s will be closed on the parties advice, if they want to close any one of the account clients must have to submit an A/C closing letter through des pass. Then the Sr. Principal Officer checks it out and closes the A/C. Commercial bank in Bangladesh offers the facility of transferring fund from one place to another to their customer as well as to the general public. Such transfer of fund can be affected either through demand draft or telegraphic transfer or mail transfer. The aforesaid methods of remitting money from one place to another within the country are known as remittance. While it is for outside Bangladesh called foreign remittance. The advantage of this facility is the quick transfer of money with minimum cost and also the risk of physical transportation of cost is eliminated. Loss of draft before endorsement: In this case, “Draft reported to be lost, payee’s endorsement requires verification” is marked. Loss of draft after endorsement: In this case, the branch first satisfies itself about the claimant and the endorsement in his favour. The customer is asked to complete filing in a form which is treated as an application as well as voucher. The application form should be checked carefully. Commission charges are included in the form. The voucher is given to the customer to deposit cash. After receiving the cash the voucher will delivered to the remittance department against issuance in his book. After preparing the Draft it is entered into the register. Branch wise serial number is given on the draft besides the oriented number putting on oblique between. The draft number is written on the voucher and is sent to the officer in charge for checking and signature. Then it is sent to the manager or second officer for second signature. The draft is crossed if customer wants and delivered to him against his acknowledgement on the voucher. A memorandum is issued to the stoner if wants. The cheque is sent for passing and cancellation. JBL General A/C (Drawn on branch) ———-Cr. After giving these entries an Inter Bank Credit Advice is prepared which contains the controlling number, depicting that the branch is credited to whom it is issued. JBL General A/C Issuing Branch ——-Dr.
To cancel an issued DD, the client has to submit an application. Issuing branch then sends an Inter Branch Debit Advice (IBDA) to the drawn branch against previously issued IBCA. General A/C drawn on branch———Dr. Make a general diary (GD) in the nearest Police Station. Furnishing an Indemnity Bond in Tk.50/= stamp. A draft becomes invalid after lapse of six month from the date of issue. The purchaser of the draft may approach the issuing branch to revalidate the draft to make it payable again. The draft should be ermined and there must be no alteration of draft. The purchaser must give a letter in requesting for the revalidation of the draft. An officer should duly verify his signature on the letter. All particulars of the draft should be compared from the draft issued register. Before the draft is revalidated it is ascertained that no duplicate draft has been issued, a note about revalidation of the draft be made in the register. The drawee branch should be intimated about the revalidated of the draft. A note to this affect in the remark column against the relative entry in the draft payable register should be made at the drawee branch. Record of loss: On receipt of information from the drawee branch about the loss of any draft, caution is noted as red mark in the remark column of the register if the draft is not yet paid. Record of duplicate draft: On receipt of information from the issuing branch in respect of duplicate draft of draft, note to this effect is made in the register. Record of cancellation: On receipt of information from the issuing branch in respect of cancellation of draft, note to this effect is made in the register. Record of revalidation: On receipt of information from the issuing branch in respect of revalidation of draft, note to this effect is made in the register. Accounts Department is play most vital role in Banking. Accounts Department is a department with which each and every department is related. It records the profit & loss A/C and statement of assets and liabilities by applying “Golden Rules” of book-keeping. The functions of it are theoretical & computerized based. JBL Mohakhali Branch records its accounts daily, weekly, and monthly every record. JBL Mohakhali Branch Accounts Department in Charge: Mr. Mostafizur Rahmane, Sr. Executive Officer (having 8 years of experience in banking sector). Another officer’s are: Mr. Faruk, (Officer), Mr. Hamid (Teller-Officer). This entire executive’s helps me a lot in my internship program at JBL. They didn’t guide me as an Internee; they guide me as a training officer of JBL to gather practical knowledge about Banking. They tried their best to inform me everything about accounts department. I hope I knew everything that gave me as a new comer in banking sector. Mr. Mostafizur Rahmane, Sr. Executive Officer (having 8 years of experience in banking sector) & Mr. Faruk, (Officer)both of the two senior executives helps me lot to get practical knowledge and prepare this report. The cash section of any branch plays very significant role in Accounts Department. Because, it deals with most liquid assets the JBL Mohakhali Branch has an equipped cash section. This section receives cash from depositors and pay cash against cheque, draft, PO, and pay in slip over the counter. Every bank must have a cash counter where customer withdrawn and deposit their money. When the valued client’s deposit their money at the cash counter they must have to full fill the deposit slip his/her own, then they sing as the depositor option’s then they deposit their money through cash officer at the cash counter. After paying this kind’s of slip, the valued client waits for the deposit slip book outside of the cash counter. The cash officer deposit the money in their account through computer software, while the depositors account credited, then the cash officer put a seal in the deposit slip and return it to the client. The cash section of JBL deals with all types of negotiable instruments, cash and other instruments and treated as a sensitive section of the bank. It includes the vault which is used as the store of cash instruments. The vault is insured up to Tk. 120 lacs. If the cash stock goes beyond this limit, the excess cash is then transferred to Principle Branch Office. When the excess cash is transferred to JBL Principle Branch Office the cash officer issues IBDA. Those which can only be paid to a banker for crediting the proceeds to the account of its payee is called crossed cheque. Where a chaque is crossed generally to the banker on whom it is drawn shall not pay it otherwise than to a banker and/or specially the banker on whom it is drawn shall not pay it otherwise than to a banker to whom it is crossed or his agent for collection. Clearing is one of the magical parts of banking. I really enjoyed this part of the accounts department and banking sector. In Jamuna Bank Limited clearing in charges Mrs. Mebin (Officer), I did work with her. I went Bangladesh Bank lots of time with Mrs. Mebin. Every bank has an officer of clearinghouse who is work with Bangladesh Bank clearing house. Actually most of major client deposit their account in different kinds of bank cheques. Clearing officer check all the cheques and deposit slip very carefully and then he received the cheque. After that the clearing officer posting all the cheques in computer software which is recognized through Bangladesh bank computer department. Then clearing officer seal all the cheques in advance date after that the officer endorsement all the cheques and sign all the cheques. All the cheques are posted in the computer by branch wise, then officer print the entire document and staple all the cheques by branch wise this is called schedule of clearing house. It is a very difficult job to staple all the cheques, because some time’s the cheques are huge in quantity, it may be 250 to 400, this is very vital job because every cheque must have to staple very carefully, it means cheque amount and the print sheet amount and cheque branch must have to be same. If the cheques staple in wrong direction, the cheque may be return from another bank, that’s why JBL not to be able to credited party account. Then the clearinghouse officer copying the entire document into two floppy disk as per Bangladesh Bank requirement. When the clearing officers enter the clearinghouse, his first job is that the floppy delivered to the Bangladesh Bank computer department. All of the procedure the clearing in charge goes to the Bangladesh Bank clearing house before 10 am in the morning. The clearing officer check all the bank’s cheque and he put all the cheques in bank wise, like as this another bank’s delivered their cheques in JBL desk. Then the officers of JBL have to calculate all the cheques by using calculator machine, Staple pin remover, and then he divided all the cheques as JBL Branch wise. Credit monitoring implies that the checking of the pattern of use of the disbursed fund to ensure whether it is used for the right purpose on not. It includes a reporting system and communication arrangement between the borrower and the lending institution and within department, appraisal, disbursement, recoveries, fallow-up etc. The borrower behavior of turnover. The information regarding the profitability, liquidity, cash flow situation and trend in sales in maintaining various ratios. The review and classification of credit facilities start at credit department of the branch with the branch manager and finally with the head office. The purpose of monitoring is to achieve efficient and effective project performance by providing feedback to project management at all levels in improving operational plan and in taking timely corrective action in case of shortfalls and constraints if any, in implementation of each project as a whole monitoring thus is a part of management information system and hence an essential activity. Close follow-up begins after selection of the borrower and sanction of loan. A good advance may turn bad in the absence of proper and timely follow-up. Quite often bankers do not bother to follow up and monitor newly sanctioned loans and advances. However, their main function should begin after sanctioning of the loan. If any borrower fails to adjust the loan within validity period or to repay his monthly instalment then the responsible loan-monitoring officer of the concerned branch will arrange for adjustment of the overdue instalments from the loaner’s savings account if there is adequate balance. The officer shall regularly follow up for recovery and take any measure including legal action for recovery. If any loaner fails to repay his consecutive 02(two) monthly instalments, then the Branch’s loan monitoring officer will investigate into the actual causes of default and report to the Branch Manager with a copy to Head office for further action and advice for recovery/regularization of the loan. The borrower shall maintain a non-withdrawal savings account with the concerned branch where he shall make compulsory deposit of @ 0.5% of outstanding loan amount per month for building up his own fund. The borrower must not change the nature of business and place of business without prior permission of the Bank. Lack of motivation toward the employee. JBL has not enough branches that is why they can not provide sufficient customer service. JBL uses flora-bank online software to record day to day transaction. Some cases the quality the employee is not up to the mark. JBL offers various types of attractive products to customers. Now a day most of the customers are using ATM card. Though JBL provides ATM card they do not have enough ATM booth. JBL follows some principle for lending. Interest rate of JBL is high in compare to other bank. JBL does not have enough features to loan lending sector. Default rate of JBL is decreasing. Net income and deposit are increasing year by year. JBL has strong loan monitorig system. Jamuna Bank Ltd. is heavily relying on debt and borrowing than equity financing. Charges should be reduced by JBL as a result Jamuna Bank will be able to attract more customers by reducing these charges. JBL should expand its Network inside and outside Dhaka and Chittagong to provide better service. Jamuna Bank Ltd. is heavily relying on debt and borrowing than equity financing. It increases risk as well as interest cost. The bank should consider the issue of reducing the reliance on debt which will reduce both the risk and the cost. There is some mismanagement due to the negligence of the HR department of the bank regarding training, placement, compensation package, etc. The management and administration of the bank should take these matters into consideration and might redesign the task of the HR department if necessary. JBL can come up with innovative ideas and introduce attractive schemes especially designed for premium customers to create more business for the bank. To attract customers and to be visible among the competitors, JBL should strengthen its promotional activity. Jamuna Bank Limited is a solid, forward-looking, modern local bank with a record of sound performance. It is a new generation bank. It is committed to provide high quality financial services /products to contribute to the growth of GDP of the industrialization, boosting up export, creating employment opportunity for the educated youth, rising standard of living of limited income group and overall sustainable socio-economic development of the country. Despite the fact that 2010 was a year of many challenges, the Bank was managed quite successfully. The year was concluded with a steady growth and the market share was retained in all areas of operation. To conclude writing the report, I wish that Jamuna Bank Ltd. is the bank, which will survive in the banking sector of the world on the Slogan-YOUR PARTNER FOR GROWTH.